Are you one of the millions of folks with Halloween on your mind and you’re figuring out your holiday plans? Let me help you have the best All Hallow’s Eve ever by showing you how to sync up spooky fun with your hormones. That’s because the rise and fall of your estrogen, testosterone and progesterone from week to week in your cycle impact how silly, scary or sentimental you want to get. By picking the activities you’ll enjoy best during the week you’re on, you’ll be sure to make the most out of this strangely weird and wonderful holiday. As your Week 1 goes on, rising estrogen is prompting a higher output of feel-good brain chemicals that make you enjoy a good laugh and socializing with others. So, you’ll get a kick out of doing anything that requires you to dress in costume (the sillier the better! 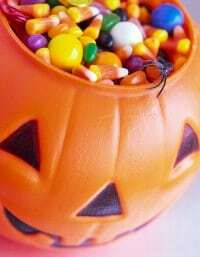 ), that reminds you of Halloween-themed activities you enjoyed as a kid (like entering a pumpkin-carving contest) and that gives you a reason to spend time with friends (such as heading to a Halloween concert in the park). Your confidence and comfort in basking in the spotlight soars during your Week 2 due to high estrogen and testosterone. So, you’ll enjoy dressing up in a daring, scary or outrageous costume and going practically anywhere packed with people to show it off–a party, a parade, a crowded bus stop. It doesn’t matter so long as you get the jaw-dropping response you’re looking for. Also key for you to fit in this holiday: A super-scary experience, like a haunted hay ride, watching a fright flick or visiting a spot where real ghosts have been spotted. High hormones are making you crave the types of thrills and chills that make your skin crawl! You’re more likely to enjoy a quieter Halloween and holiday activities that touch your emotional side due to the combination of rising progesterone and dipping estrogen that slow you down and make you more sentimental. So, you’ll probably enjoy watching Halloween specials you’ve watched a thousand times before (like It’s the Great Pumpkin, Charlie Brown), whipping up your favorite Halloween-themed treats (like these) or taking your kids (or someone else’s) trick-or-treating like you did yourself way back when. During your premenstrual week, plunging estrogen is dragging down your patience, so you may not feel like doing all the complicated prep-work that goes into a great Halloween costume or hanging out with holiday revelers who will no doubt find some dumb way to stoke your premenstrual flames. But, that doesn’t mean you can’t enjoy the holiday at all. Fact is, there’s lots about this holiday that can counter a premenstrual bad mood and make you happy, like all the special sweets that only come around this time of year (seriously, it’s like bakeries are now all trying to outdo one another–to yummy results! ), the fun online games that have been given a spooky Halloween makeover (or try those at HalloweenArcade.com) and tooling around your neighborhood to check out all the Halloween decorations (and get ideas for your own yard for next year).